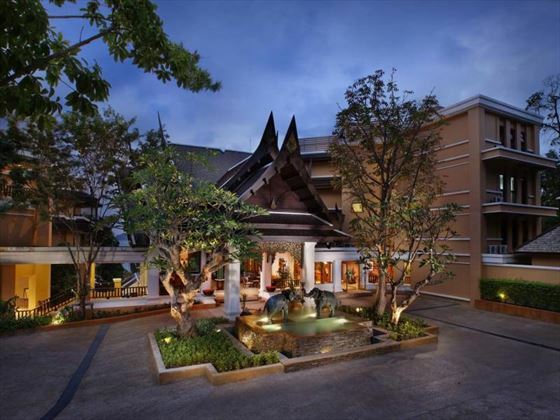 Pure romance can be found at Amari Vogue Krabi, a stunning boutique hotel adopting traditional Thai Lanna architecture, surrounded by tropical gardens and nestled on the white sands of Tubkaak Beach. 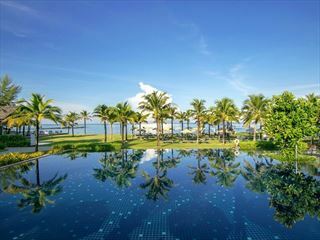 This intimate hotel is perfect for couples or those looking for a secluded honeymoon, offering beautifully decorated rooms and suites, delectable restaurants, and plenty of rejuvenating spa treatments. We love the Spa Suites – they’re very indulgent thanks to their private en-suite spa treatment rooms. 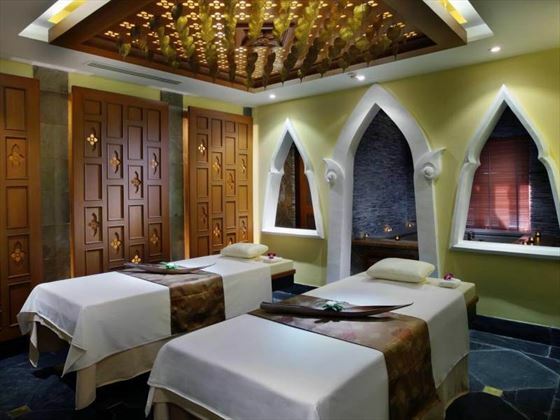 What could be better than pampering yourself with a relaxing massage in the comfort of your own suite? 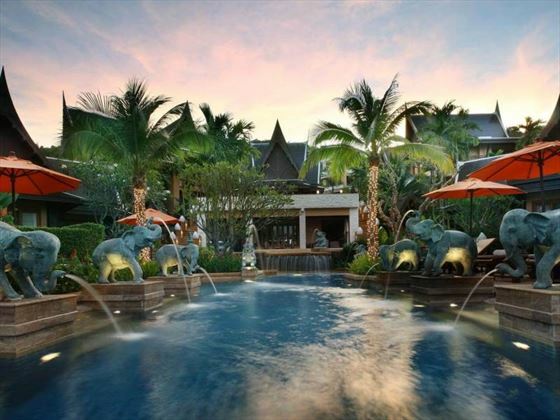 Afterwards, take a dip in the scenic plunge pool and soak up the sun as you overlook the azure ocean, before tucking into authentic Thai cuisine on Lotus’ outdoor terrace. 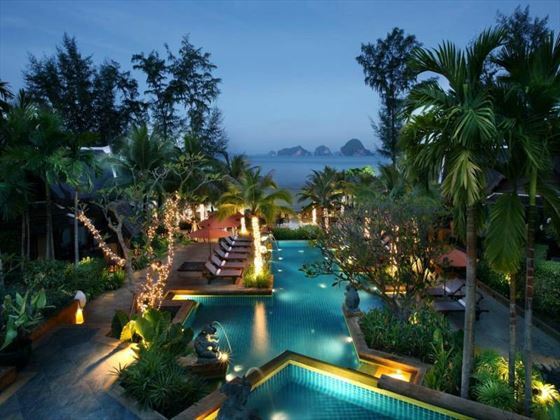 This romantic hotel is nestled on the beautiful white sands of Tubkaek Beach in southern Thailand’s Krabi Province, with stunning views of turquoise waters and towering limestone cliffs. 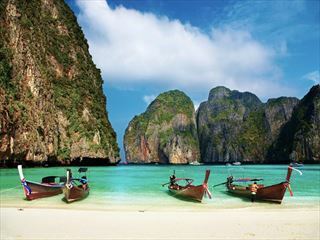 Ao Nang is only a 20 minute drive away, with its sparkling Andaman coast and popular dive sites, or you could take a 10 minute drive to the limestone karsts and verdant mangrove forest at Krabi Town. 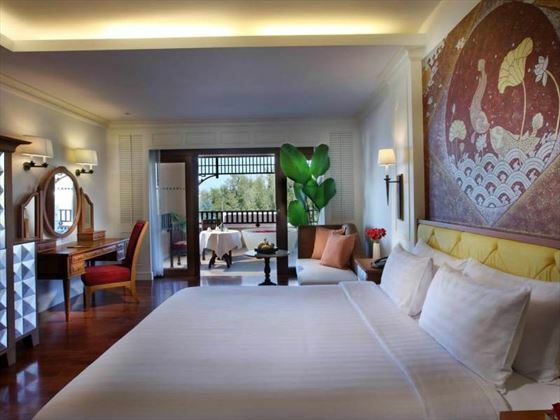 Deluxe – Intimate 50sqm rooms with contemporary Thai style décor. Sleeps a maximum of three adults. 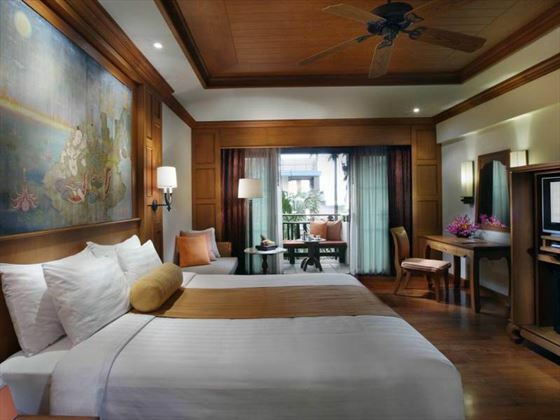 Grand Deluxe – Gorgeous 60sqm rooms with regal, traditional décor, sitting apart from the main building and nestled in a four suite villa. Sleeps a maximum of three adults. 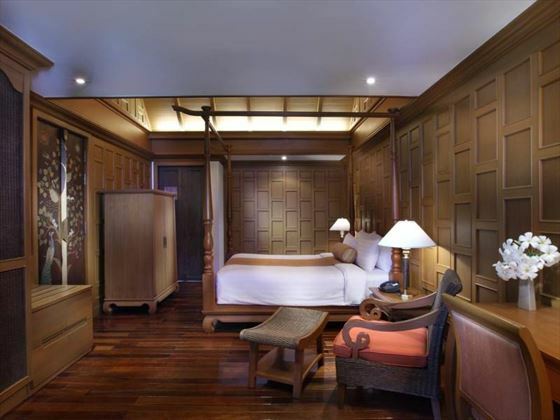 Grand Deluxe Jacuzzi – These elegant 66sqm rooms are perfect for a romantic honeymoon, featuring Thai décor and an outdoor Jacuzzi. Sleeps a maximum of three adults. Spa Suite – Indulgent 72-82sqm suites with its own en-suite spa treatment room, so you can enjoy relaxing massages and treatments without even leaving your suite. Sleeps a maximum of two adults. 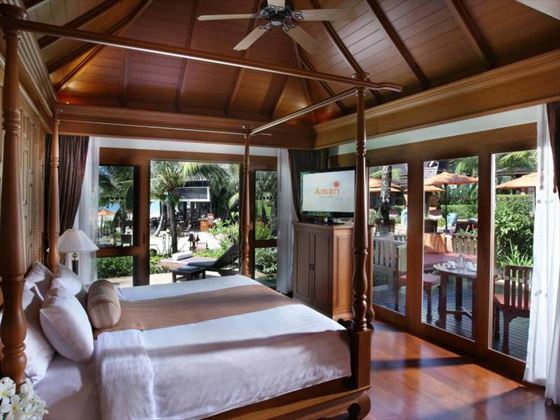 One Bedroom Villa – Spacious 82sqm villas perfect for two, with a separate living room and large terrace. Sleeps a maximum of three adults. 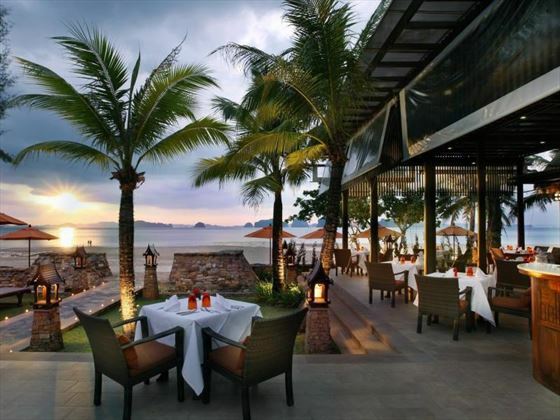 Bellini Italian Restaurant – Nestled on the beachfront, tuck into delectable seafood, gourmet pizza and homemade pastas as you watch the sunset. Open from 11am to 11pm. 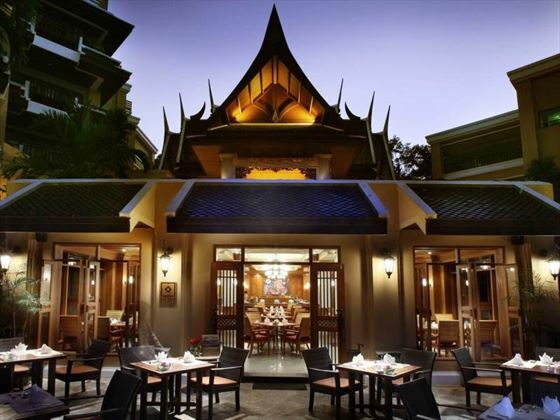 Lotus – A laidback restaurant offering authentic Thai cuisine either in the elegant dining room, or the outdoor terrace. Open from 6.30am to 12am. Sunset Lounge – A classy bar and lounge, offering cocktails, imported beer, light meals and snacks – a fantastic place to relax and socialise. Open from 11am till late. Breeze Spa – Nestled within the tropical gardens, this gorgeous spa is the perfect place to escape from daily worries or stresses. All of the treatment rooms feature a private steam room and large bathtub, whilst the VIP Room also includes a rain mist Vichy shower. 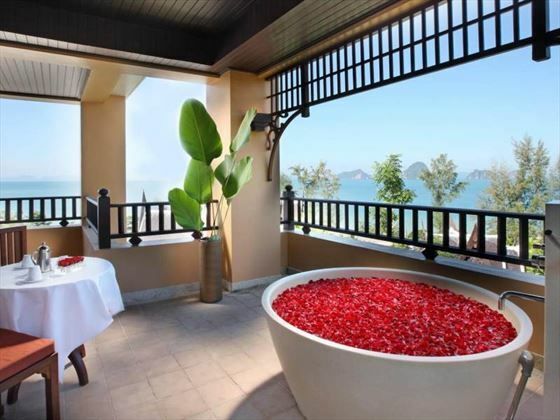 After your rejuvenating body and facial treatments, take in the stunning view from the outdoor Thai massage pavilion for a full on pamper and head to toe relaxation, with a menu that combines Thai, Asian and Western healing traditions. 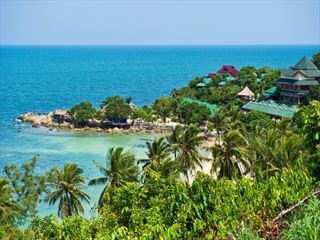 On 1 May 2019, the resort will begin a refurbishment project that will result in a significant improvement of most of the facilities and services including the lobby, guest rooms, restaurants, spa, fitness centre and other public areas. 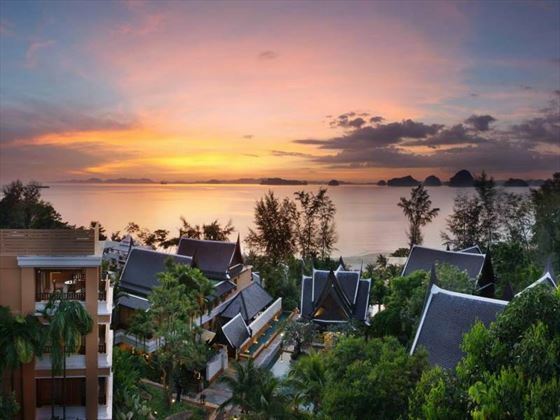 All of these enhancements will be completed by the 31 Oct 2019, and Amari Vogue Krabi will be ready to welcome our mutual and valued guests from 15 Nov 2019 onwards.